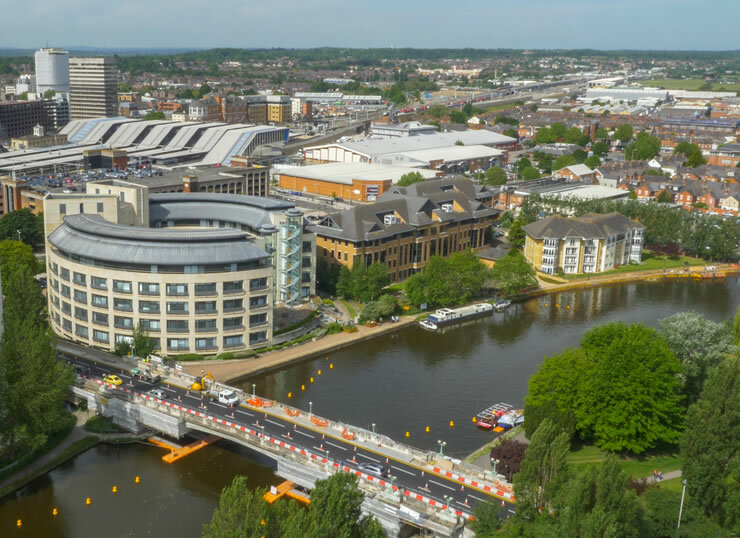 According to EY’s Regional Economic forecast, Reading is estimated to be the fastest growing city/town in the UK, with 2.3% Gross Value Added (GVA) growth per year, over the period 2018-2021. The Thames Valley is not far behind with expected economic performance of 1.9% GVA until 2021. Maidenhead is currently going through a huge regeneration of its town centre, the construction of the Elizabeth Line is going to to connect Reading to the capital more than ever before, there is also millions being spent on the improvement of road works and waterways throughout Reading and Maidenhead. With all this investment and rejuvenation flowing into the city it is unsurprising that EY has predicted it to be the fastest growing city in the UK in their report. With all of the new developments and investment injections, it is an exciting time for businesses in Maidenhead, and it provides a fantastic opportunity for other companies to set up in Maidenhead too. Our landmark, modern office in the heart of Maidenhead offers new businesses unrivalled space in a key, gateway location on the corner of Marlow Road and Sun Lane, just three minutes walk from the town centre – it promises to unlock your businesses potential. Visit Lantern or get in touch to find out more.